With fall officially upon us, I find that we start to gravitate towards things that make us feel cozy and warm, through colour, accessories and furnishings that help create that cocoon for the crisp fall days. 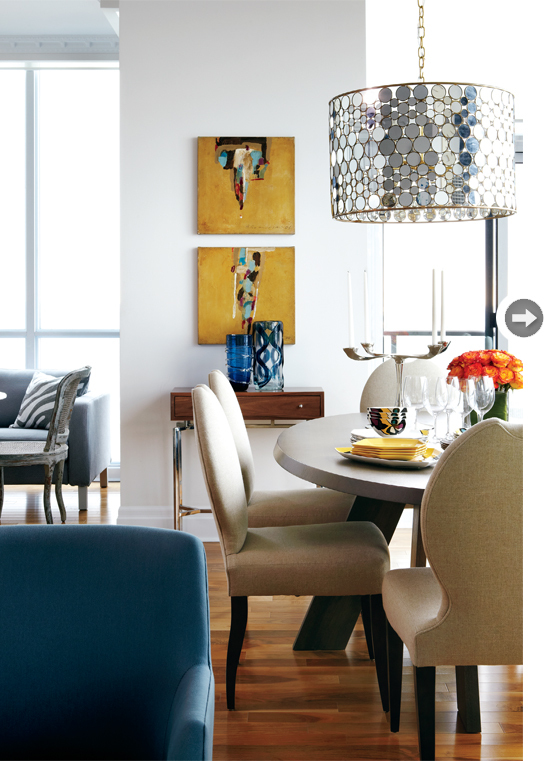 Gone are the days of beige being the only neutral! We are embracing neutral greys, whites with a hint of colour and soft pale lavenders, on our walls to create that perfect backdrop. My go-to neutral has been Stonington Grey by Benjamin Moore, it has created a fabulous backdrop for my teenage daughter's room. Wood has been in people's homes for centuries, not only to build our homes but to warm them with kindling, for building furniture and flooring. Wood truly warms up a space, giving our homes that true "down-to-earth" feeling. A classic and enduring material, nothing creates a layer of warmth in our homes better than wood. 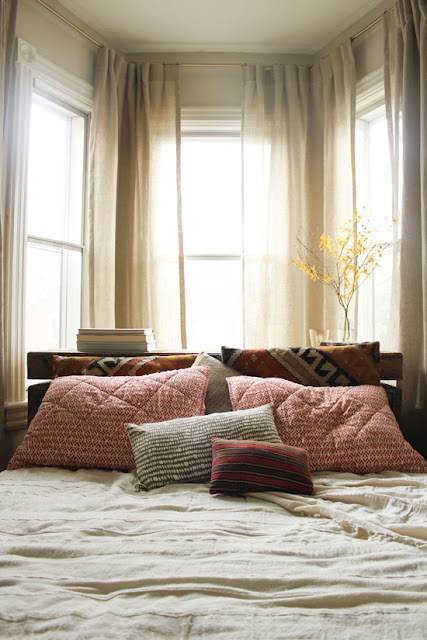 With everyone embracing suzani prints and ikat, we have brought that global vibe into our homes. The modern global channels that earthy and homespun feeling in our homes. It is that connection with the handmade and craftsmenship that we all so crave, a rebelling against all the cheap "made in China" junk that seem to line the store shelves. Modern global represents the simple yet "rich" look we want to surround ourselves with. Even my own home, I have touches of modern global. I have this fabulous ebony bowl that my sister carried all the way from Tanzania for me, which then in turn was carried by my mom from Vancouver to my former home in Virginia. It has such an organic, rustic feel to it. Brings a smile to my face everytime I see it knowing it was made lovingly, carved and polished using nothing but hands. 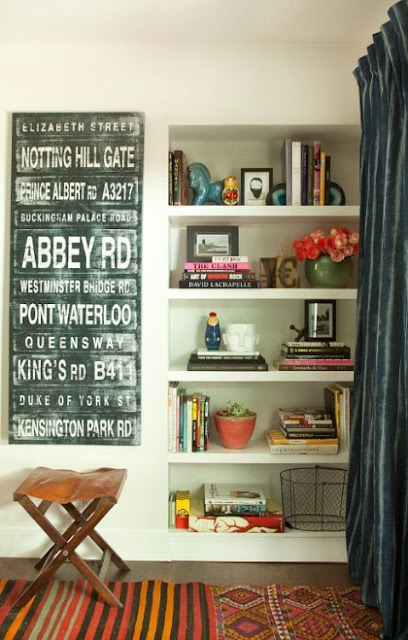 What fall trends are you embracing in your home? I love bringing natural elements into my home during the fall. Bowls of gourds, dried hydrangeas, and bouquets of mums are a few of my favorites. I enjoyed your personal insight on the latest fall trends. It's interesting to see what another reader derives from a magazine article. I love your pics Barb. I gravitate towards grey as the neutral with pops of colour through accessories. I also always add some cozy throws so the room feels layered and warm. I found your blog from Nancy's blog and so glad I did. 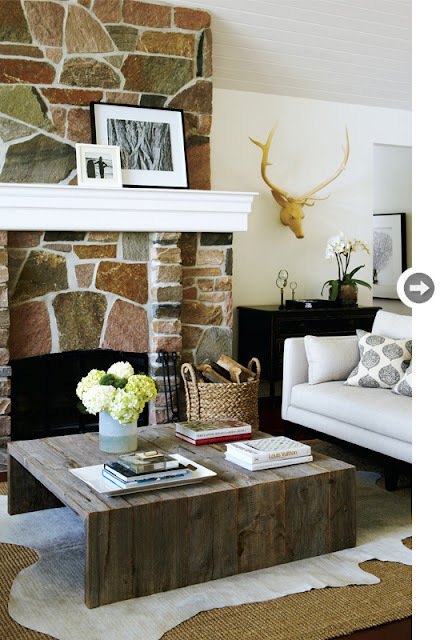 I've always loved having wood elements in our home, and those images do not disappoint. 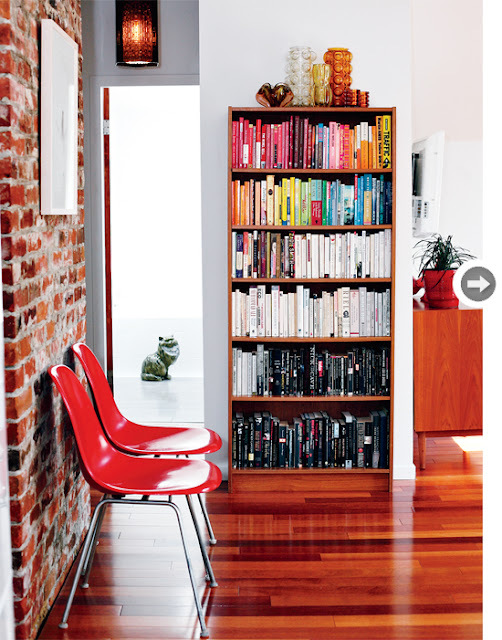 I love the first wood image of the bookcase and the exposed brick. Lots of inspiration! I want to repaint my first floor with that Stonington Grey - it's a great color. Love these images Barbara! I love all of these, but I don't really consider them trends. Wood is always in style, warm grays are perfect in many spaces and modern global, will be with us for a long time, as the world gets smaller and we travel more and more. I noticed all these things at IDS last week, didn't you? I especially noticed the wood trend everywhere. Does this mean we have to stop painting everything in sight??? All those trends appeal to me! That kitchen just became a favorite! Thanks for sharing. 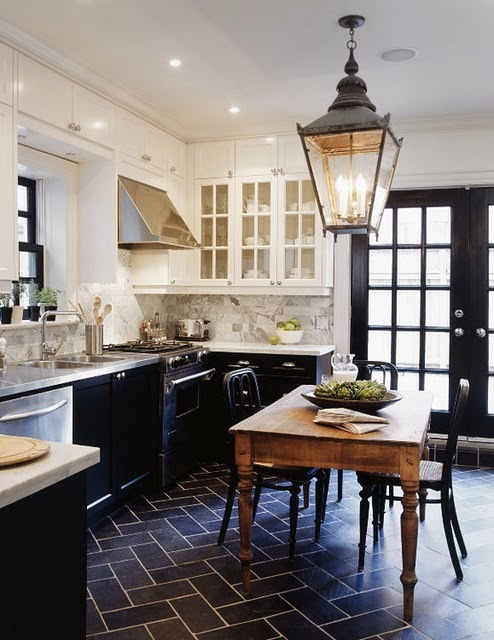 I love the black french doors ....... in the latest issue of H&H did you see the bar fridge/cellar with them? It's really hard to tell with the new woods coming in if we are going to still be seeing the distressed stuff? Although in one of those pics you posted, the coffee table is looking pretty fine. I am embracing fall with big arms! I love to nest and being Swedish, my love for mother nature is deep. And I think we share that love with the Canadians! And a global mindset is always right in my book! P.S A separate mail is on its way!